Come help make a difference with us—one package of books at a time. Join us for our next new volunteer orientation, led by one of our experienced volunteers, Sunday, September 27, 1–2 p.m., right before our regular 2–5 p.m. work session. Get the details here. Can’t make it this Sunday? Plan now to join us for the Sunday, October 25 orientation. Or learn how you can get involved in other ways. See you soon! 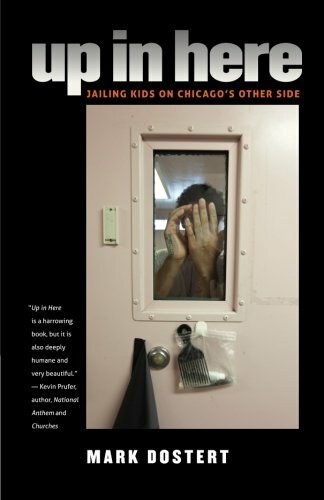 Join us at City Lit Books in welcoming Mark Dostert to discuss his debut memoir, Up in Here: Jailing Kids on Chicago’s Other Side, which chronicles his experiences as a counselor at the Cook County Juvenile Temporary Detention Center, Chicago’s infamous 500-cell juvenile jail, known as the Audy Home. 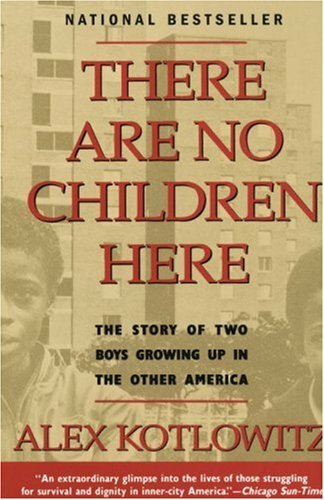 Mark will be in conversation with Alex Kotlowitz, author of There Are No Children Here: The Story of Two Boys Growing Up in the Other America. We’re looking forward to a provocative dialogue. Don’t miss it! Friday, June 5, 6:30 p.m. Learn more on the City Lit event page. Exciting things are happening at Chicago Books to Women in Prison and we’d love for you to be a part of it all. Learn how you can make a personal, powerful difference in the lives of Rebecca H. and other incarcerated women. 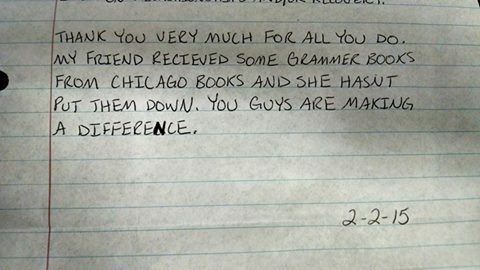 It may be cold outside, but you’ll find a warm atmosphere as a volunteer with Chicago Books to Women in Prison. 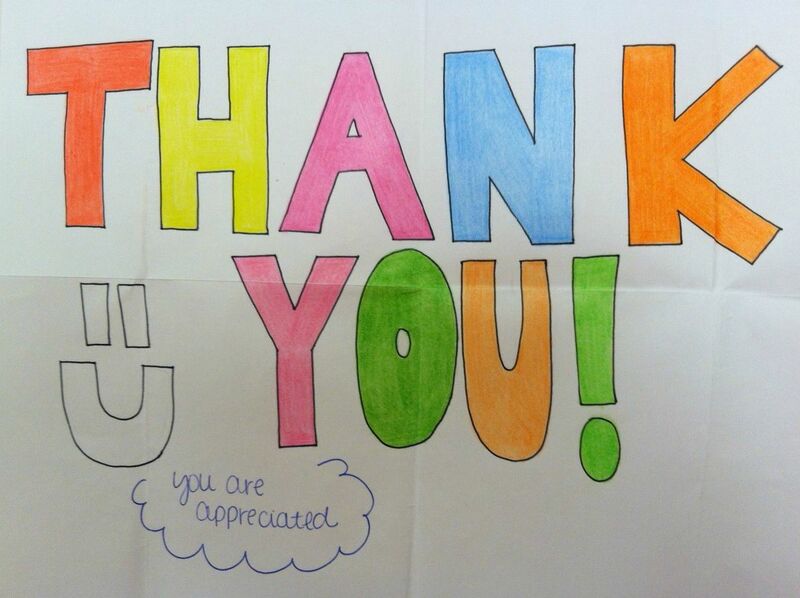 It’s such a simple thing we do—selecting and sending books in response to requests we receive in the mail—and very rewarding. According to the latest weather bulletin, we could be getting 18 inches of snow by tonight, so we’ll take a rare day off for safety’s sake. 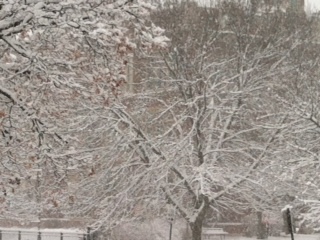 We’ll be open next week as usual for volunteers and donation drop-offs. 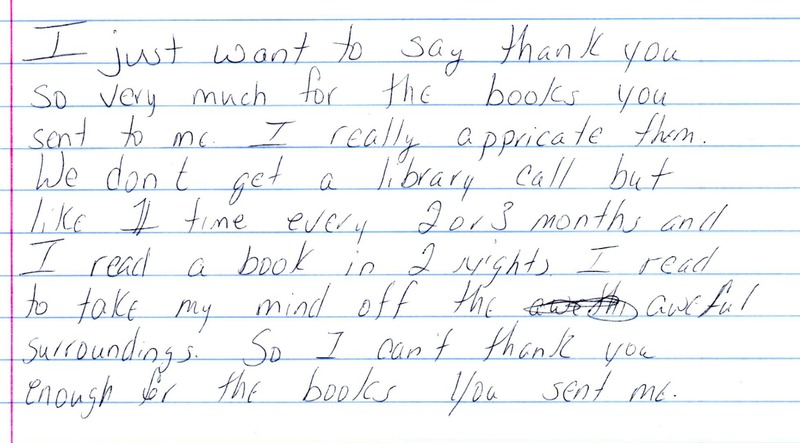 It’s easy to make a difference in a concrete, personal way in the lives of incarcerated women looking for the self-empowerment, education and entertainment that reading provides. Join us for our next orientation session, led by one of our experienced volunteers. It takes place the last Sunday of each month, 1–2pm, right before our regular 2–5pm work session. Get the details here. If you can’t make it this week, plan now to join us for the November 30 orientation. Not available on Sundays? There are lots of other ways to get involved and help get books in the hands of women in prison. We hope to see you soon! If you’ve been thinking about getting involved, now’s the time. Join us for our next orientation session, led by one of our experienced volunteers. It takes place the last Sunday of each month, 1–2pm, right before our regular 2–5pm work session. Get the details here. If you can’t make it this week, plan now to join us for the October 26 orientation. Not available on Sundays? There are lots of other ways to get involved and help get books in the hands of women in prison. We hope to see you soon!